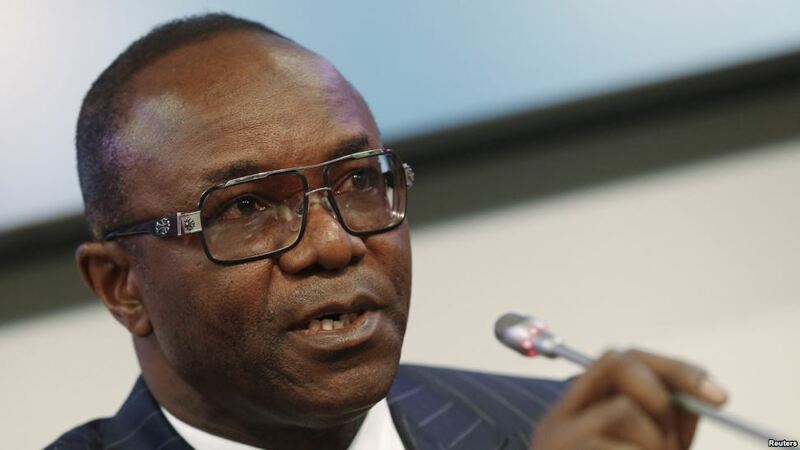 All things being equal, Nigeria will cease to import petroleum products and totally depend on its own refined products from 2019, the Minister of State for Petroleum, Dr. Ibe Kachikwu, disclosed on Wednesday. Kachikwu who made this disclosure while briefing State House correspondents at the end of the weekly Federal Executive Council (FEC) meeting at the Presidential Villa, said already, a steering committee headed by him and another technical committee had been constituted to fine-tune the process. Kachikwu, who also said the council approved a new policy document on the operations of petroleum sector, further disclosed that a gas policy had earlier been approved by FEC three weeks ago to serve as the bedrock for Nigeria’s change of status as an oil producing nation to a gas producing country. However, he said the new 100-page petroleum policy approved yesterday consisted of plans for the reorganisation of the Nigerian National Petroleum Corporation (NNPC) with a view to achieving efficiency and accountability; address salient issues in the Niger Delta; guarantee stability and consistency in the oil sector, and aid cash calls. “Today, we took to council a Nigerian petroleum policy document. As you are aware, three or four weeks ago, we also considered the Nigerian Gas Policy. The essence of that gas policy was to focus increasingly on how to change the imperatives of seeing Nigeria as an oil producing country to a gas producing country because we are a lot more privileged to have gas than we have oil. “Today’s document focused on oil. What are the imperatives for changing the policies in the oil sector? It dealt with certain fundamentals and some of the policies that we had already begun to pursue now crystalised in FECpolicy memo. For example, we are working assiduously to exit the importation of fuel in 2019. It captured the cash calls change which we have done which enables the sector to fund itself through incremental volumes. “It captured the reorganisation in the NNPC for efficiency and enabled accountability. It captured the issues in the Niger Delta and what we needed to do as a government to focus on stability and consistency in the sector. It is a very comprehensive 100-page document that deals with all the spectrum in the industry. The last time this was done was in 2007 and it has been 10 years and you are aware that the dynamics of the oil industry has changed dramatically. “Apart from the fluidity in pricing and uncertainty in terms of the price regime in crude oil, we are pushing for a refining processing environment and moving away from exporting as it were to refining petroleum products. That’s one change you will see. Secondly, how we sell our crude is going to be looked at. There is a lot of geographical market that we need to look at, long term contracting and sales as opposed to systemic contracting that we have been doing. Those are the fundamentals. It is a document that if well executed, it will fundamentally take the change process that we began in 2015 to its logical conclusion hopefully in the next couple of years,” he said. Giving a detailed breakdown of the planned stoppage of fuel importation soon, Kachikwu said 2019 timeline had already been set for the agenda and government was working assiduously towards meeting the target. According to him, both the steering committee which he heads and the technical committee headed by the Chief Operating Officer of the NNPC, had had a series of meetings with individuals whom he said were prepared to invest in the project. The Minister said the plan was neither about the sale of refineries nor their concession but rather a financing scheme in which he said some groups would build the refineries while others would finance them, pointing out that at least 30 persons had already indicated interests in the financing scheme. Kachikwu also disclosed that as a result of efficiency in the management of the oil sector, the daily consumption of fuel which he said used to be 50 million litres per day when he came on board in 2015 had now drastically dropped to 28 million litres per day. “In terms of the specifics, what a policy document does is that it gives you a general guideline in terms of where you are headed, then you go into the specifics in other separate documents for the purpose of execution. If you take the 2019 timeframe for refinery for instance, it won’t tell you what I’m doing today but will tell you that I have set a timeline to exit importation and to get the refineries working by 2019. “But if you ask me specially off the shelve, what are we doing on that? There is a steering committee already in place which I head. There is a technical committee team already set up headed by chief operating officer in NNPC. We have had series of meetings with individuals who are willing to put money into the refineries. “I need to state this clearly. This is not a sale. This is not a concession. This is a financing scheme and there are over 30 people who have indicated interest in that financing. They are going to go through the usual due process mechanism to see who qualifies for that financing. What we have resolved however, which we have at least had a landing on is that each of the refineries would be repaired by the individual company that built the refinery. “Who does the work is different from who does the financing. We are still dialoguing on who is going to get the financing opportunity but who is going to get the contracting opportunity to do the work is already decided. If you check the companies that built, I think it is Chioda in the North; Saitem in Warri if I’m not mistaken. I have forgotten the one in Port Harcourt but all of them have reached agreement with us in terms of willingness and readiness to do the work. “Government is not putting money into this. It is going to be a sector-led effort and they will recover their money through incremental volumes that will arise from the production increase arising from the repairs. We are doing about 30 percent performances on most refineries now. So, if you get them to above 90 per cent template, we are going to use some of the product line to pay for some of the debts and free ourselves from the importation problems. “All the refineries today repaired do not cover all our consumption. So, we are banking on the fact that some level of efficiency and upgrade will increase the refineries’ capacity. That is one. We are banking on the fact that the efficiency steps we are taking will reduce the consumption. We have gone from the 50 million litres per day consumption when I resumed office down to about 28 million litres per day,” he stated. Also briefing yesterday, the Minister of Labour, Employment and Productivity, Dr. Chris Ngige, said FEC approved a new employment policy which encapsulates the current realities in the labour market. He also disclosed that the new wage committee approved by FEC in May was yet to be constituted because some groups such as the organised labour and employment associations were yet to present their nominees. “Today, the FEC received the National Employment Policy to guide this government. The last employment policy operating in Nigeria was approved in 2002. It is 14 years old and in that same 14 years, a lot of things have changed in the labour and employment industry and market. Things like employment for people with disabilities, decent work programme for people, doing jobs without polluting the environment and other aspects that are just new and contemporary in the labour market. He said: “Job creation is something that cuts across all sectors. It is multi-sectoral and not limited to even one ministry, not even limited to even the public service alone. The public sector is involved. The private sector is also involved. So, this document seeks to capture all these so that the relevant and affected persons will apply this so that we can apply this and fight unemployment and under-employment together,” Ngige said. According to her, some of the social investment programmes of the federal government such as homegrown school feeding, N-Power, and conditional cash transfers were drawn from the draft of this policy. “So, what we had done is to submit to council the policy today and council approved the policy that is likely aspirational but which seeks to ensure that every Nigerian citizen has at least the minimum of what is required in terms of human development and human protection,” she stated.